As the individual player-development trend continues to gain traction at all levels of the game, more NHLers are adding home training to their year-round routines as they look for an extra edge over their skilled competition. 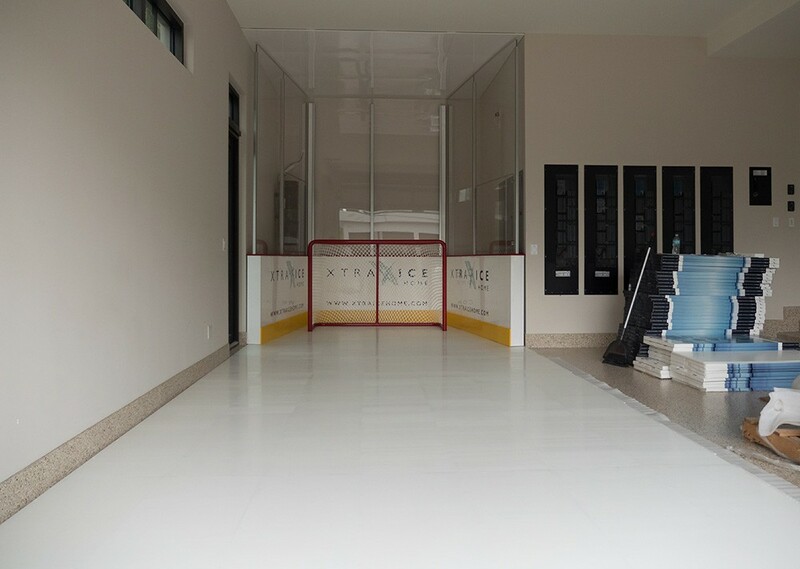 This past Wednesday, Xtraice Home installed a 10 x 40-foot shooting and skating lane, in one of the bays of Florida Panthers’ defenseman Aaron Ekblad’s garage. The lane features an Xtraice Home synthetic ice surface, specifically designed for the demands of hockey skating and a custom board system developed in collaboration with the Becker Arena. Nikita Kucherov, a scorer for the offensively thrilling Tampa Bay Lightning credits his uptick in scoring to his acquisition of a synthetic ice surface this past offseason. Ekblad, much like his crosstown rival, sees an opportunity to improve the quickness of the release on his shot by dedicating an extra 15- 20 minutes a day solely to shooting at home. The key attraction for players is being able to train on skates, allowing them to simulate the mechanics of actual play. This routine fits neatly into author Malcolm Gladwell’s “10,000 Hour Rule,” which claims, with considerable evidence, that the key to achieving world-class expertise in any skill is a matter of practicing the correct way for 10,000 total hours. Ekblad, a defender with considerable offensive skills was the Calder trophy winner in his first season, and now sets his sights on the Norris Trophy as the league’s best defensemen. To do so, he’ll have to continue his strong defensive play while also putting points on the scoreboard. His strong shot and playmaking ability are evident on the Panthers’ power play, where Ekblad shines as its quarterback. Ekblad is 21 years old and signed an 8 year, $60 million dollar contract extension in 2016, making him the 7th highest earning defenseman in the league.